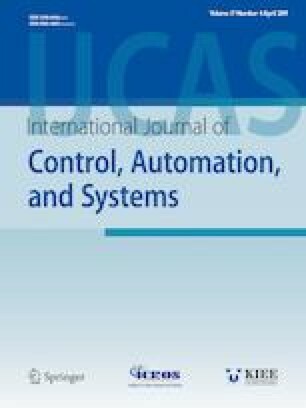 This paper proposes a task allocation model to adjust the number of working robots autonomously in a swarm of foraging robots. In swarm foraging, the traffic congestion in foraging area and the physical interference between robots can decrease the swarm performance significantly. We introduce the concept of traffic flow density for the first time which can be used to reflect the traffic condition in the foraging area. The amount of obstacle avoidance denotes the number of times physical interference generated in swarm foraging. The traffic flow density and the amount of obstacle avoidance together adjust the value of the threshold. In the proposed response threshold sigmoid model (RTSM), the individual robot can determine autonomously whether to forage or not on the basis of the threshold and the external stimulus and the swarm system can complete the expected foraging task. Simulation experiments are carried out with the aim of evaluating the performance of the proposed method. Several performance measures are introduced to analyze the experimental results and compare to adaptive response threshold model (ARTM). Experimental results verify that the RTSM improves foraging efficiency and decreases the physical interference. Recommended by Associate Editor Shun-ichi Azuma under the direction of Editor Doo Yong Lee. This research is supported by the NSFC (National Nature Science Foundation of China)under grant no. 61573213, 61473174, 61473179, by the Natural Science Foundation of Shandong Province under grant no. ZR2015PF009, ZR2017PF008, by the China Postdoctoral Science Foundation under grant no. 2017M612270, by Shandong Province Science and Technology Development Program under grant no. 2014GGX103038, and Special Technological Program of Transformation of Initiatively Innovative Achievements in Shandong Province under grant no. 2014ZZCX04302. Bao Pang is a Ph.D. candidate in School of Control Science and Engineering at Shandong University. His research interests include swarm robotics, intelligent control, and machine learning. Yong Song received his Ph.D. degree in Pattern Recognition and Intelligent System from Shandong University in 2012. His research interets include swarm intelligence robotics, machine learning, and neural network. Chengjin Zhang received his Ph.D. degree in Industrial Automation from Northeastern University in 1997. His research interests include control theory and applications, intelligent robot control, and bioinformatics. Hongling Wang is a Ph.D. candidate in School of Control Science and Engineering at Shandong University. Her research interests include search and rescue robotics, intelligent robot control, and simultaneous localization and mapping. Runtao Yang received his Ph.D. degree in Bioinformatics and Intelligent System from Shandong University in 2016. His research interets include swarm intelligence robotics, Bioinformatics, and system biology.